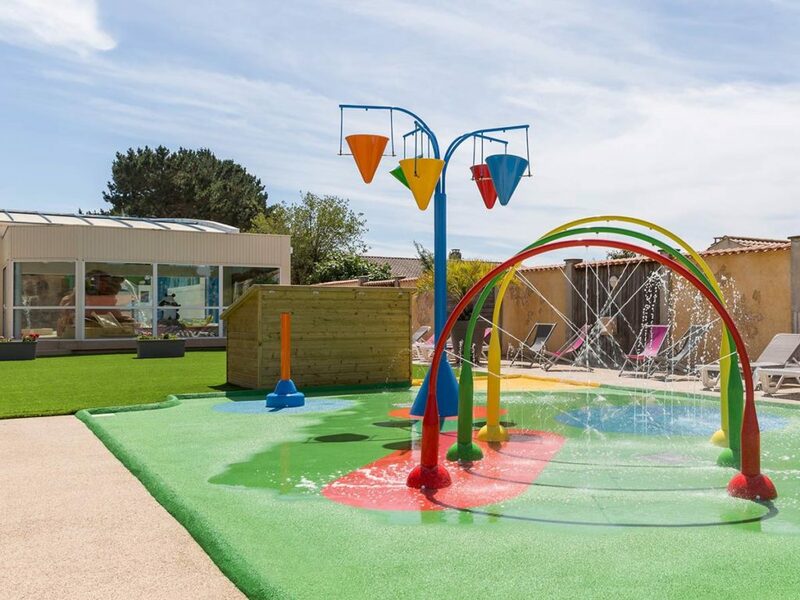 Before their first slide in the paddling pool, baby swimmers will be able to enjoy water fun thanks to this leisure area. Walking through the water jets of the rainbow without getting touched, putting their hand in the water bubble… all kinds of activities the littlest ones can try. Ready for a tropical experience ? Throughout the opening days, families can enjoy the heated indoor pool of the campsite. The pool and paddling pool heated at 27°C set in a tropical environment with animals. Your children may cross turtles, snakes, tigers or pandas and choose between water play equipments and slides. The indoor pool is the guarantee for a great holiday, in case of drowsy weather. 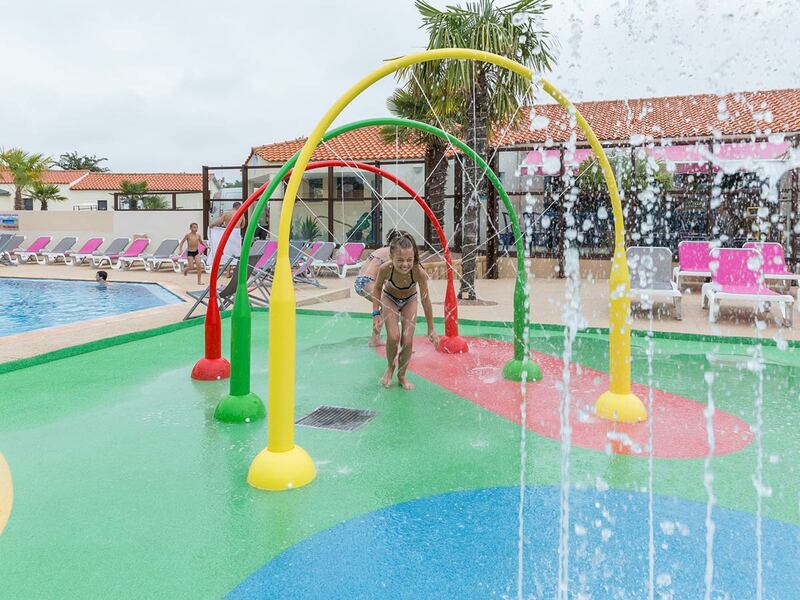 The paddling pool with small slide and water spitting animals will be a delight to toddlers. 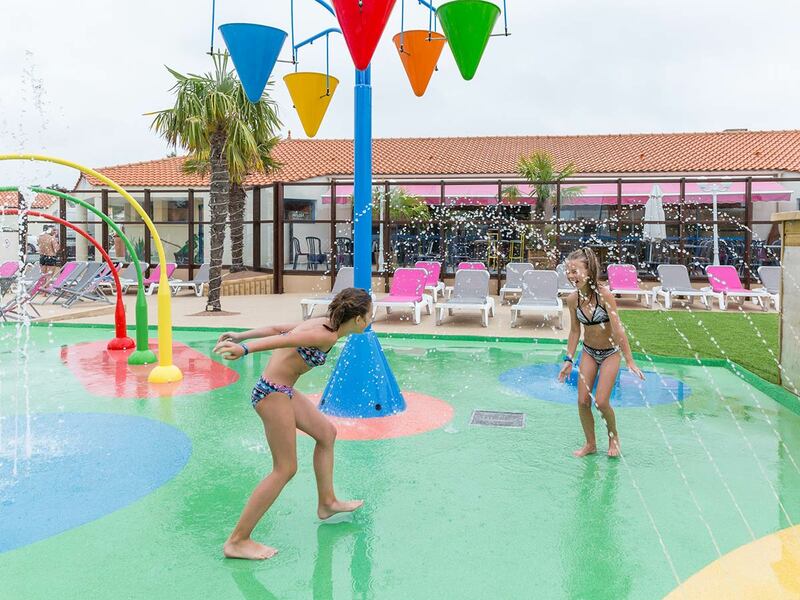 For your comfort, the water park is reserved for persons staying at Camping Le Chaponnet, visitors have no access.